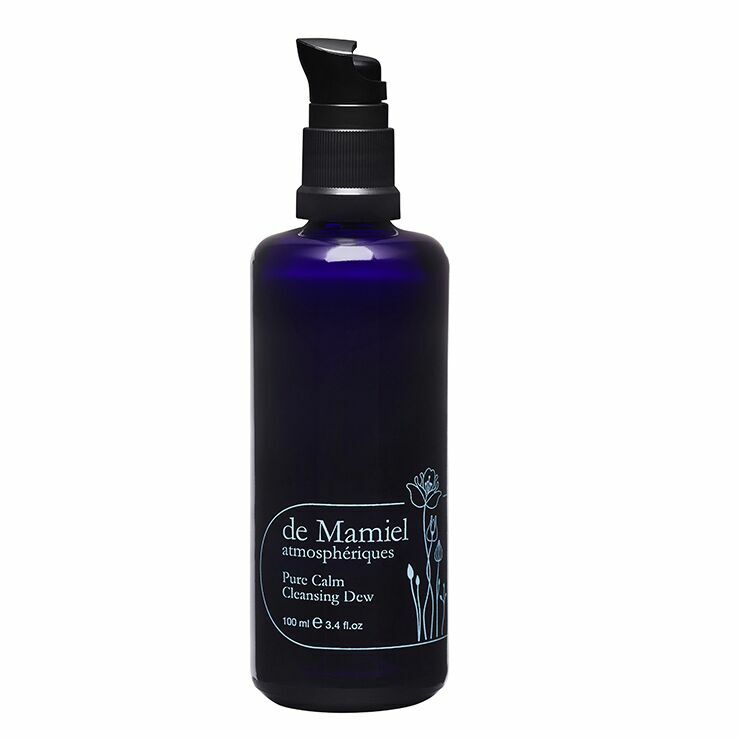 de Mamiel's Pure Calm Cleansing Dew is a lush oil based cleanser that gently cleanses away oil and pollutants that lead to the appearance of inflammation and breakouts, while creating a feeling of moisture and nourishment on skin. Rich with natural antioxidants and nutrients from 14 organic herbs and essential fatty acids, this daily ritual leaves skin feeling purified, soothed, and renewed. Each morning and evening, begin your morning and evening ritual with 1-2 pumps of Pure Calm Cleansing Dew. Using circular motions, massage onto face and neck for 2-3 minutes to sufficiently cleanse skin of makeup and pollutants. Rinse and pat dry. I've been using this product for couple of weeks and I really like it. It thoroughly removes all my make up and after water rinse, it doesn't even feel like you used cleansing oil unlike other cleansing oil where you can feel a bit of residue. But some may like that because it doesn't make your face feel stripped of moisture. I'm assuming it's due to high content of castor oil (first ingredient) that helps with the feel of complete cleansing and also the bit of 'grip' you get while using the product. So the 'grip' can pull on your skin as you massage the product unless you use copious amount (I use 10-12 pumps), so that's a minus for me. Also the reason I didn't give it 5 stars is, it makes my eyes sting very badly. I'm very careful when I remove my eye make up (don't wear very much, just mascara and eyebrow wax) because I've had eye issues. I've never had other cleansing oil causing stinging in my eyes but this one does. For a very long time after I wash my face. Now I use another oil to remove my eye make up and use this product for the rest of my face, which doesn't make me very happy about. I want one cleansing oil to remove all my face make up, especially with high price point on this product I feel that I shouldn't have to use two different products. Another plus is the scent, which is divine.